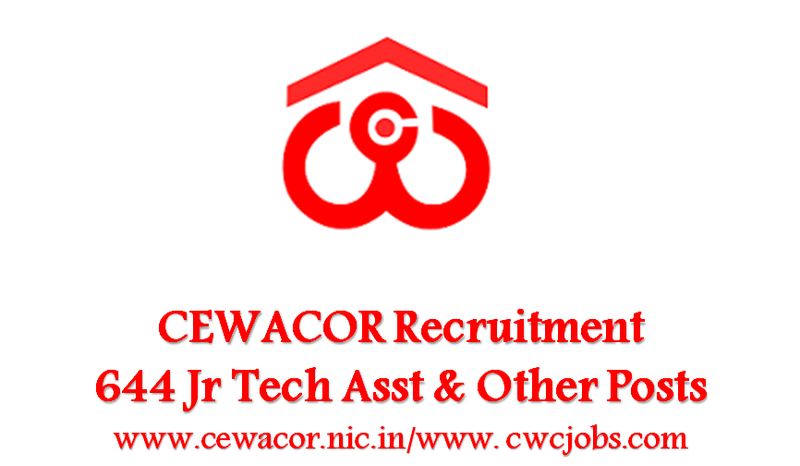 Central Warehousing Corporation (CEWACOR) invited applications for recruitment to 644 Jr Technical Assistant, Management Trainee, Accountant, Assistant Engineer, Superintendent, Junior Superintendent & Stenographer. 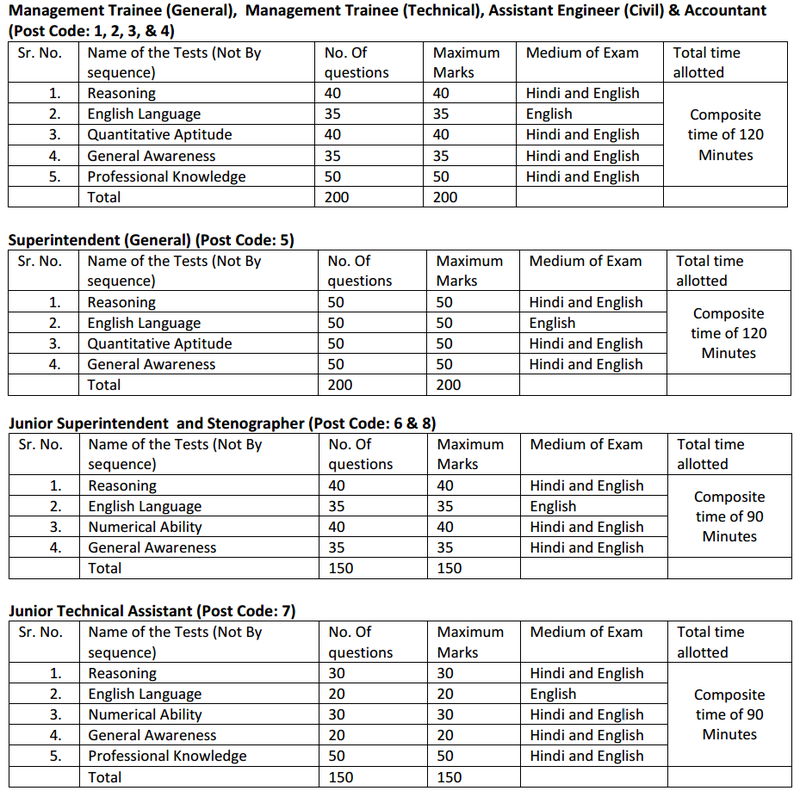 The candidates eligible for the post can apply through prescribed format on or before 13 October 2016. Eligibility for Management Trainee (General) Post: Degree with 1st class Master of Business Administration with Specialization in Personnel Management or Human Resource Management or Industrial Relation or Marketing Management or Supply Chain Management. Eligibility for Management Trainee (Technical) Post: 1st class Post Graduate degree in Agriculture with Entomology or Microbiology or Bio-chemistry OR 1st class Post Graduate degree in Bio-Chemistry OR Zoology with Entomology from recognized University/ Institution. Preference will be given to those who also possess Post Graduate Diploma in Warehousing and Cold chain Management/ Quality Management. Eligibility for Accountant Post: B.Com or BA (Commerce) or Chartered Accountant or Costs and Works Accountants or SAS Accountants of the Indian Audit and Accounts Department with three years’ experience in maintaining and auditing of Accounts in Industrial / Commercial /Departmental Undertakings. For all the above mentioned posts, the minimum age to apply is 18 years. Maximum age limit details can be found from below. CEWACOR will follow strict selection process for selecting candidates. Selection criteria will vary for each and every post. Management Trainee (General and Technical), Assistant Engineer (Civil), Accountant, Superintendent- (General): Candidates will be selected on the basis of Online Test, Document Verification followed by Interview. Junior Superintendent & Junior Technical Assistant: Candidates will be selected on the basis of Online Test and Document Verification. Stenographer: Candidates will be selected on the basis of Online Test, Document Verification followed by Skill test (Typing & Stenography). Candidates should note that There will be penalty for wrong answers marked in the Objective Tests. For each question for which a wrong answer has been given by the candidate one fourth (1/4th) of the marks assigned to that question will be deducted as penalty to arrive at corrected score.